A cheap bride to be accessory easily attaches with the ribbon. Let everybody know that the bride to be has arrived with this popular traditional item. 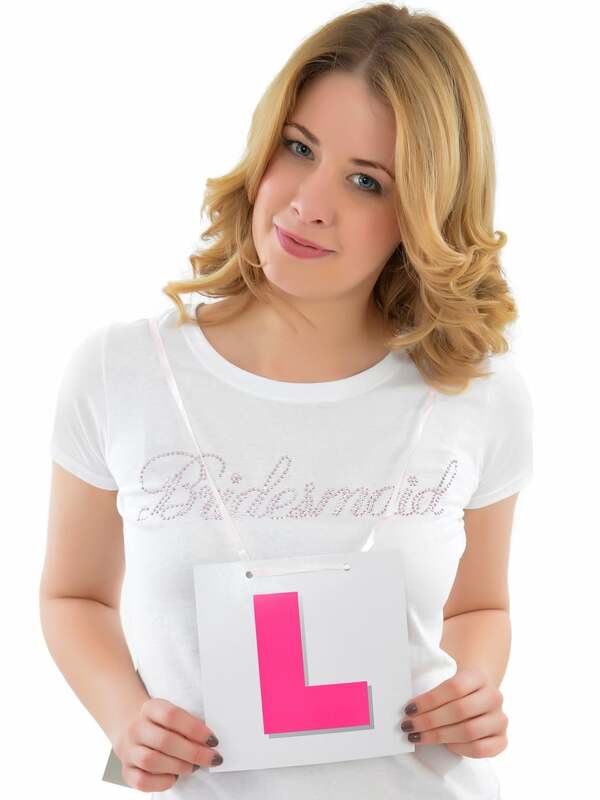 Showing our 2 Bride To Be L Plate In Pink reviews with an average rating of Excellent. Would you like to write a review? It completed the Hen's look. Great price and quality. Review Title - A MUST HAVE!!! Review - THE TRADITIONAL L PLATESTHEY ARE FAB ONE AT THE BACK AND ONE AT THE FRONT!! CANT GO WRONG!! THEY ARE FAB ONE AT THE BACK AND ONE AT THE FRONT!! CANT GO WRONG! !